Florence Guillot's apartment is a living, breathing museum of art and design, filled with an eclectic mix of objects pleasing to the eye. The sitting area with cushions in different patterns and colors make fabulous chill-out zones for a gathering of friends. Florence Guillot’s apartment is a living, breathing museum of art and design, filled with an eclectic mix of objects pleasing to the eye. She moved into the 240-square-meter apartment, with easy access to some of her favorite spots in town, a year ago. “The views of the tree-lined streets and the city skyline from big windows on both sides of the apartment was the main reason I rented this place,” she said. As an avid collector of decorative objects and artworks, she was glad the flat was empty of furniture so that she could create her own very personal style. “The existing situation was pretty ideal when I moved in. I didn’t change much of the layout and basic foundation. I simply brought in my collection of furniture and accessories from my previous home in the city to reorganize to reflect a boldness of spirit,” she said. The space gives full rein to Guillot’s artist instincts. The French native wanted a modern interior filled with things she loves and a sense of humor is evident in her decorative style. The dining chairs are all in different shapes and styles and many of the details are custom-made by Florence Guillot herself. “I don’t define an interior style in my home but a more personal ambience and in a global style made by objects I’ve collected from different countries dear to my heart,” she said. Guillot went for things that felt rich, warm, flamboyant ... reflective of her warm character. She introduced bold colors like red in unexpected ways and used fabrics sparingly, placing them for standout impact. The home has a theatrical effect with scenes of different stories and effects, from the quirky setting of the sitting area and a peaceful Japanese-style corner to a tribal, indigenous collection of objects in the master bedroom. It’s obvious Guillot appreciates different vibes and with abundant space in her home, she can play with different styles and moods for different functional rooms. 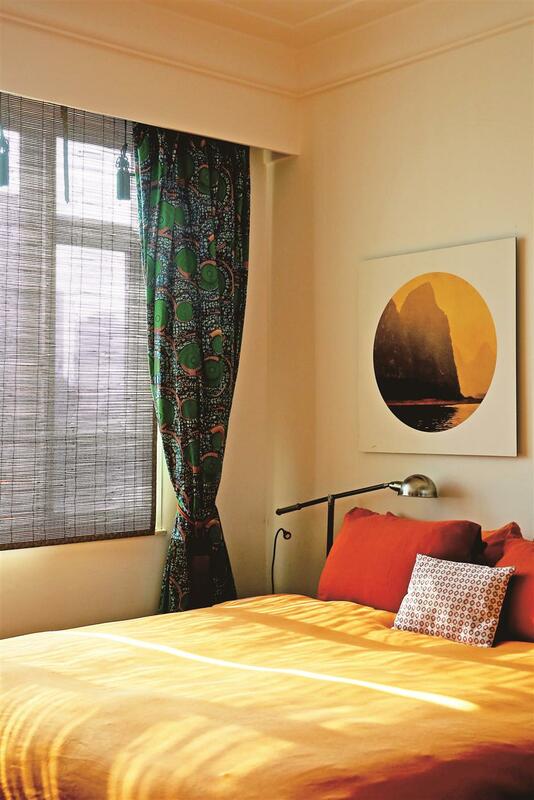 Good taste and an eye for beauty have resulted in the home’s relaxed, exotic ambience and balance of color and textures. The spacious living and dining room offered a compelling opportunity to suggest alternatives and break some rules. Guillot approached the interior design like a stylist and editor. 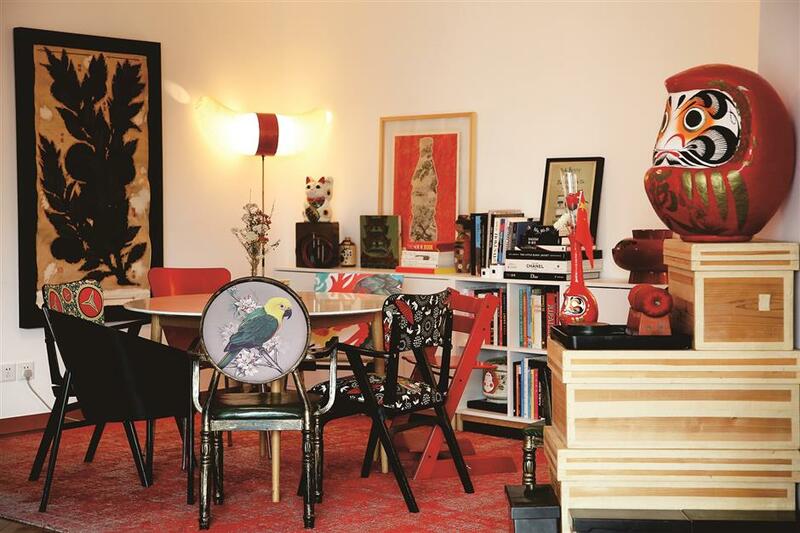 She curates the interior rather than decorate it, gathering the things that she’s collected over the years to make a living gallery of furniture, textiles, objects, artworks and knick-knacks. 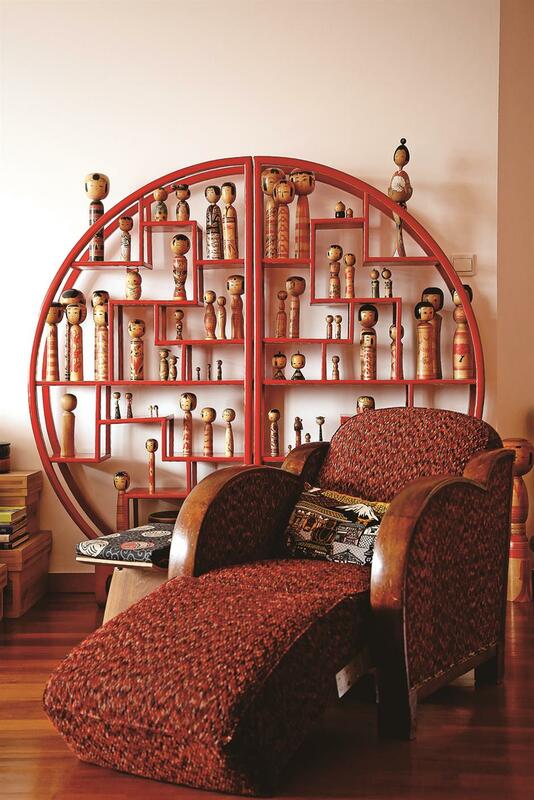 The 50 kokeshi (traditional wooden Japanese dolls) displayed on the round Chinese-style red shelf graces the living area. The charm of the house lies in its unique style which is rarely seen in other spaces. “The aim was not to create a clean, minimalist home but rather a Bohemian lifestyle that I can feel at the most comfortable state at home,” Guillot said. The best part of the house is the living and dining area where your eyes are constantly turning to different corners for some fun objects. The sitting area with cushions in different patterns and colors make fabulous chill-out zones for a gathering of friends; the lounge chair in exotic fabric is perfect for one person’s reading time and the round dining table sets another mood when a nice dinner is organized, surrounded by beautiful artworks. The dining chairs are all in different shapes and styles and many of the details are custom-made by Guillot herself. Vintage chairs are re-upholstered with fabrics in interesting, bold patterns. 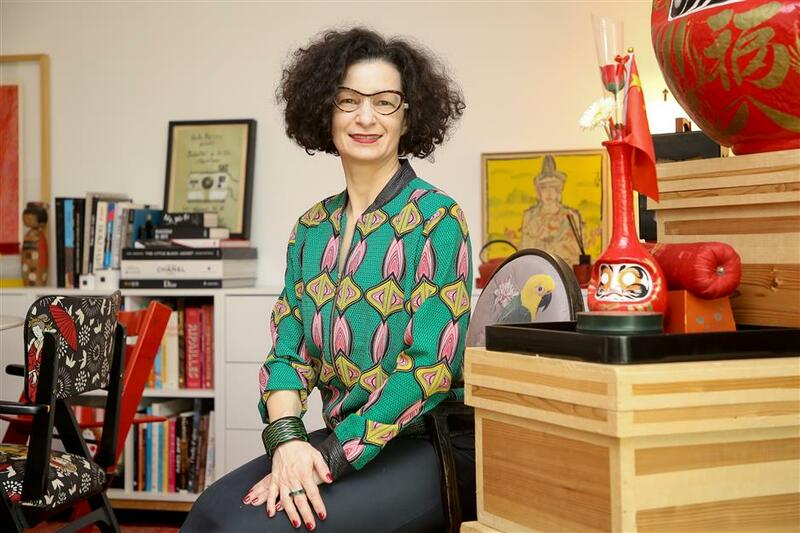 “I actually see the flat as a tribute to my upbringing surrounded by art and fashion mixed with my experiences living in France, Japan and China,” Guillot said. Guillot opted for soothing tones in the master bedroom. 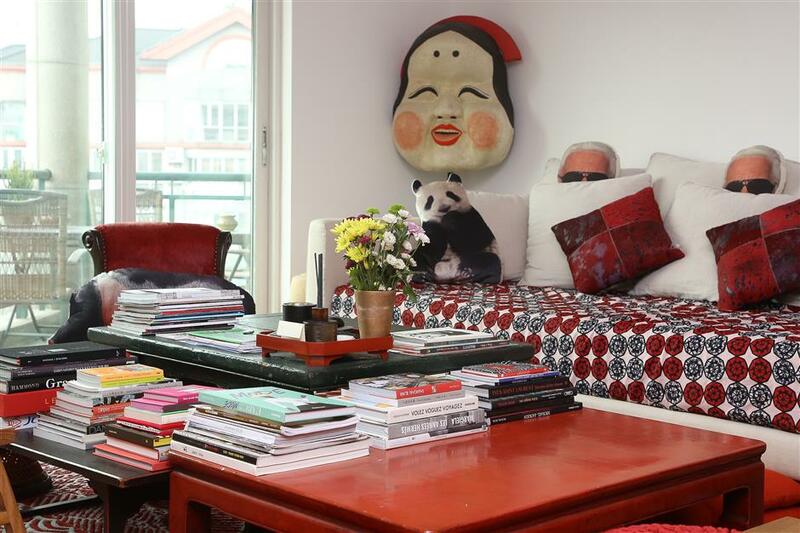 The 50 kokeshi (traditional wooden Japanese dolls) displayed on the round Chinese-style red shelf has graced the living areas from her previous homes to the current one. The whimsical, playful theme is carried throughout the space, from the living room to the kitchen and study. Fun objects adorn every possible corner, inspired by the places and cultures of different countries. In contrast to the passionate colors used in the living area, Guillot opted for soothing tones in the master bedroom. A Japanese mood and natural fabrics give the bedroom an extremely relaxed look for a good evening. Her daughter Leonie’s room is decorated by the 12-year-old girl with her preferred colors such as yellow and grey. “Leonie thought my style was a bit overwhelming and she prefers to have her own chilled-out zones where she can play with her friends,” Guillot said. A: The best thing about living in Shanghai is the mixture of experiences, people from different countries and backgrounds as well as the amazing food. A: Go to the kitchen. There is always somebody there or something to do or just simply for admiring the view with a cup of tea. A: A cup of green tea with a book on my huge living room sofa. Q: Where do you spend most of your time at home? A: The kitchen. It’s the core, the warm heart of this flat. A: The amazing vibe of the city from the high-rises, historic houses, to birds and trees. In the evening with the city lights on, it’s just magic. A: The otafuku paper mask that is a cherry-faced figure bringing happiness to the interior. A: I source mostly objects and books from different lifestyle boutiques in the city.